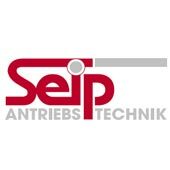 Seip are a well known brand in remote control operation. Known for their low power consumptions, maintenance-free benefits and high quality, Seip operators are a trustworthy manufacturer of access control electric operators for garage doors. In addition to first class products that will give years' of trouble free service, they're aim is to give overall excellent value for money. You simply press the hand transmitter once for the garage door to open. Press again, and the garage door will close. Every operator comes with a quick release fitted as standard. In most cases this can be operated from the outside of the garage. What happens if the garage door hits an obstacle? The operator recognises an impact with an obstruction and automatically reverses running direction. Can I use the Seip hand transmitter with an existing older operator? Existing operators and gate systems can be equipped with an optional external Seip receiver. With the Seip standard transmitter you have 4 channels available, from which one is used for the Seip operator. The remaining three channels may be used for other items. are the operators compatible with this 'Home-Link' system? The operator series TS and the TM60 are compatible with Home-Link modules from software version 6 or later. For older versions of the Home-Link module, please contact us.